A soft and sturdy plied sport-weight, Arroyo has quickly become a favorite among knitters! It’s perfect for those everyday lightweight (but warm) garments, and the superwash wool means it’s easy to take care of. Think of it as a Rios’s baby brother! (And speaking of babies, it’s perfect for them too.) Great for: Shawls, scarves, accessories, lace, textured stitches, cables, lightweight garments, baby and kids items Be sure to get enough yarn to complete your project since each bag is a different dye lot, and skeins may vary from bag to bag. 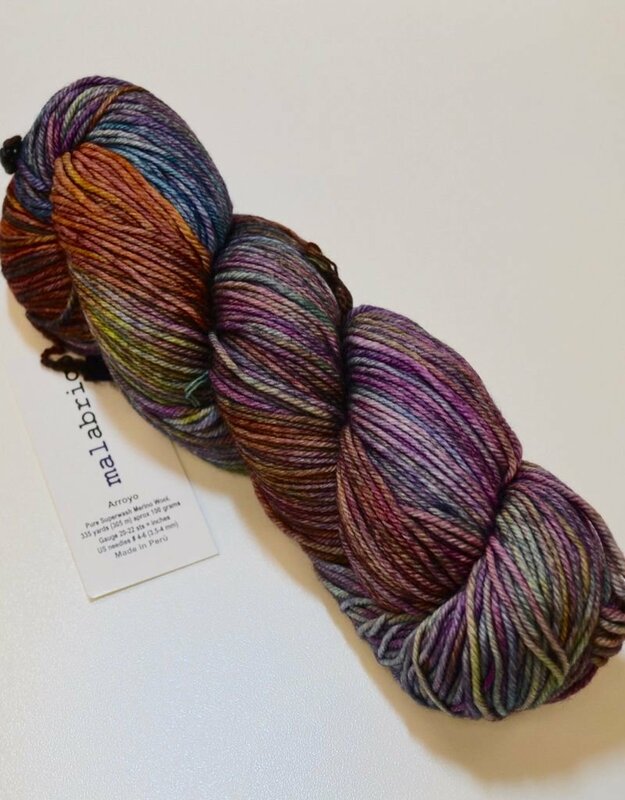 In the tagged (*) colors, the skeins may vary one from the other even within the same bag. To ensure random color distribution, work from two balls of yarn at once, alternating a few rows from each ball. 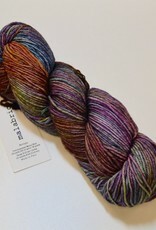 Weight: Sport Texture: Plied Yardage/Meters: 335 yards (306 meters) Skein weight: 100 grams (3.53 ounces). Gauge: 20.0 to 22.0 sts = 4 inches Recommended needle size: US 4 - 6 or 3.5 - 4mm Recommended hook size: US E-4 to 7 or 3.5-4.5 mm Content: 100% Superwash Merino Wool Cares: Machine washable, gente cycle, cold water, do not tumble.